For Valentine’s Day…We made some sugary sweet spicy hearts…I made the cookie dough using the gingerbread recipe from earlier this week. Nathan helped to cut out heart shapes with a cookie cutter and we decorated them with white icing and pink and purple sprinkles.Nathan asked if we could save one piece to give to his favourite gal pal, which I thought was very sweet of him. I think these gingerbread cookie hearts make especially perfect Valentine’s Day gifts for little girls, because you know, girls are made from sugar and spice, right?Happy Valentine’s Day to you and have a lovely weekend. Today’s entry is not so much a post as it is just a way to showcase the latest addition to our outdoor play area… Our new mega sized outdoor chalkboard! This past week has been all about snails.The children are always fascinated by the snails in our garden and ask endless questions about them.A couple of weeks back, one of my boys stumbled across a snail crawling along the ground. 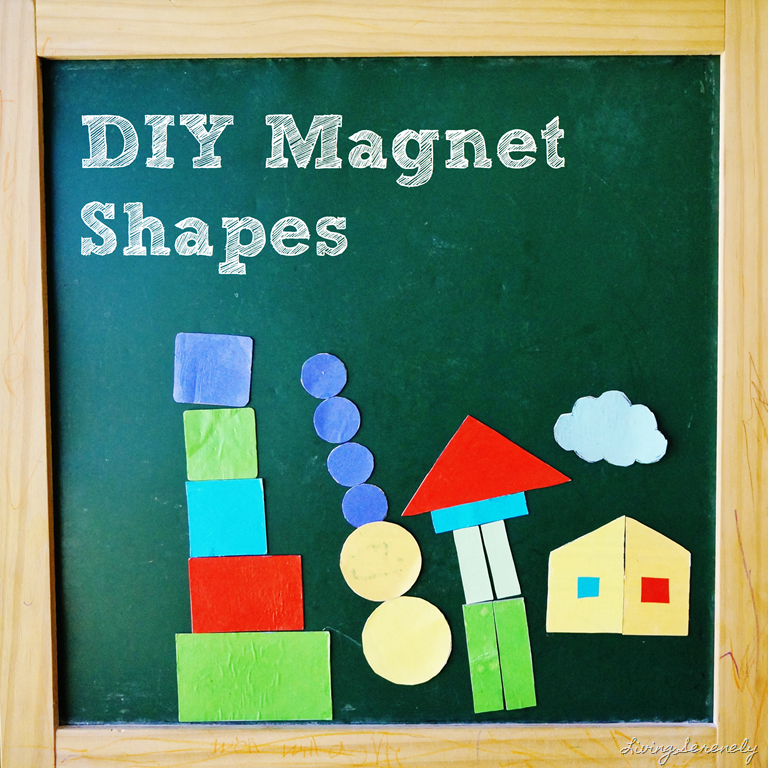 A couple of weeks ago, I had posted this snapshot of these set of magnetic shapes I made on my Instagram. I received a few curious questions on how I made them. And so Nathan’s very first day of kindergarten is over. It was a mixture of good, bad, sweet and sour. I think that so much happens throughout the day, it can be challenging for a little person to filter through it all. These days my days are packed full to the brim. From the moment I wake up to the sound of Grace calling through the baby monitor and Nathan’s cheeky face peering at me over the edge of the bed… to the evening when I finally tuck them into bed and say goodnight.